Referral programs have shown their value over the last few years and there are many multi-billion dollar companies out there that based their efforts for growth on referral schemes. Uber, Airbnb and Dropbox are just a few examples. Building a referral program from scratch is a quite intense process since it requires to take many things in consideration. In this article, I’ll try to summarize the most important things to consider in the process of building a referral program. Examples will be highlighted of companies that do things in the right way and cases of products that don’t do things well. The purpose of referral program is to drive conversions and engagement with the current customer base, as well as looping new users faster into the viral loop for increasing your market acquisition. 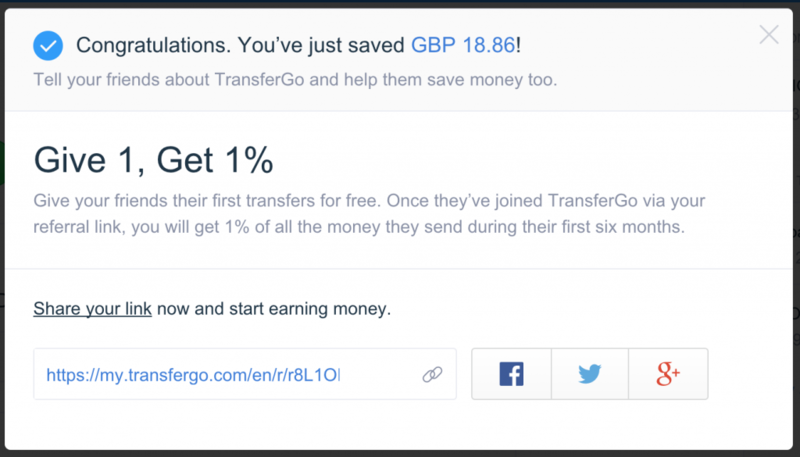 Growth Hackers try to push referral programs without destroying the user experience. Below, you ‘ll find some important points that can help you design more carefully your referral / refer a friend program and help you avoid doing mistakes at an early stage. P.S. a quality product promotes itself the word-of-mouth spread. A normal user typically suggests a good product 2, 3 or 4 times a year to his friends and family. The referral program is the way to accelerate this growth, to make things run faster. If you don’t have a product you ‘re happy with it (and your user’s data shows it clearly), don’t consider the referral program as a solution. Go back, make your product better and then think of creating a refer a friend program. 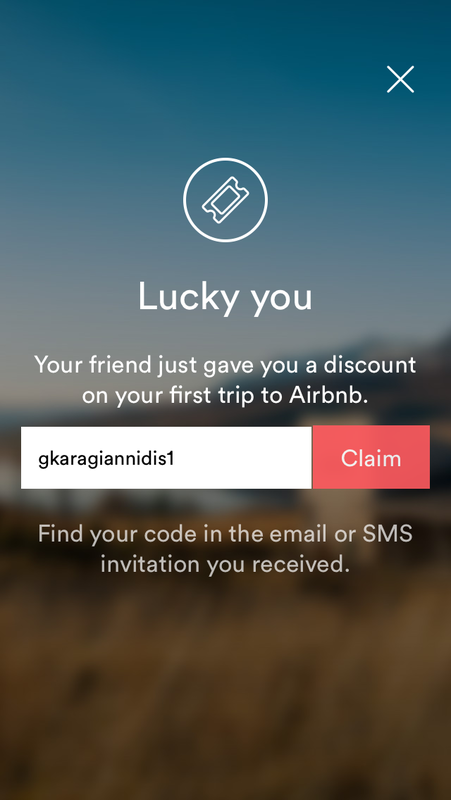 Airbnb.com generates referral links based on the full name of the user, which is retrieved via the Facebook login. It is important for your referring users to show them the status of their referral invitations plus the activity status. The more transparent you are with your referring users, the most trustworthy you ‘re considered. It is very important, especially on newly-launched products that people have never heard of, to give a bonus to both the referring user and the referral. This empowers the activation rate for people who are unaware of your brand plus motivates your referring users to follow-up with their referred friends and family members, in case they didn’t convert immediately after the invitation. People like to brag about good choices they did, so if they enjoy your product, they ‘re willing to share it on their social media profiles. Don’t forget to use #hashtags on your integration. Email is considered as the highest converting acquisition channel for referral programs. 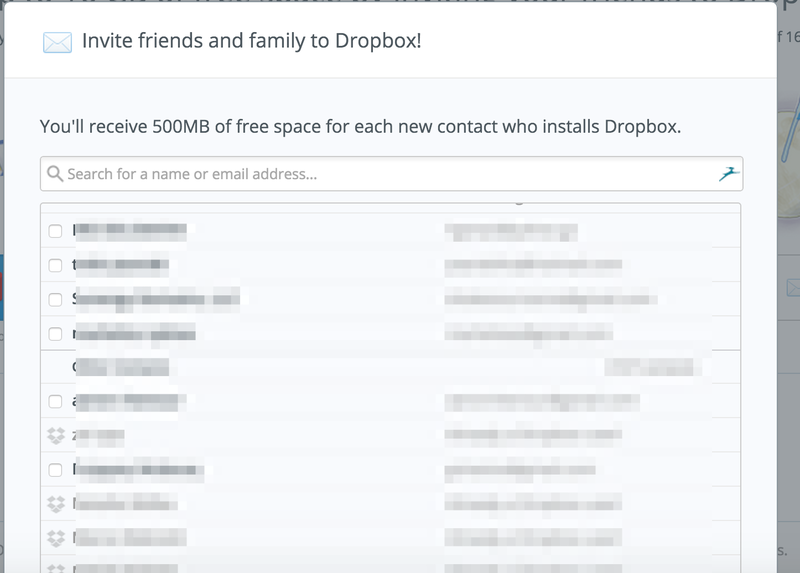 Give your users the option to invite friends by entering their email addresses. Tip: try to test limiting the amount of invites your user can send by entering their friends’ email addresses to less than 5 a day, with the appropriate messaging around the product. 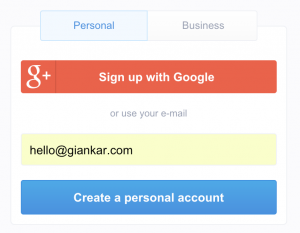 Allow your users to connect with gmail and be able to share their referral link with their gmail contacts. They can send invitations in bulk to up to 1.000 contacts per try. Good solution to spread the message. 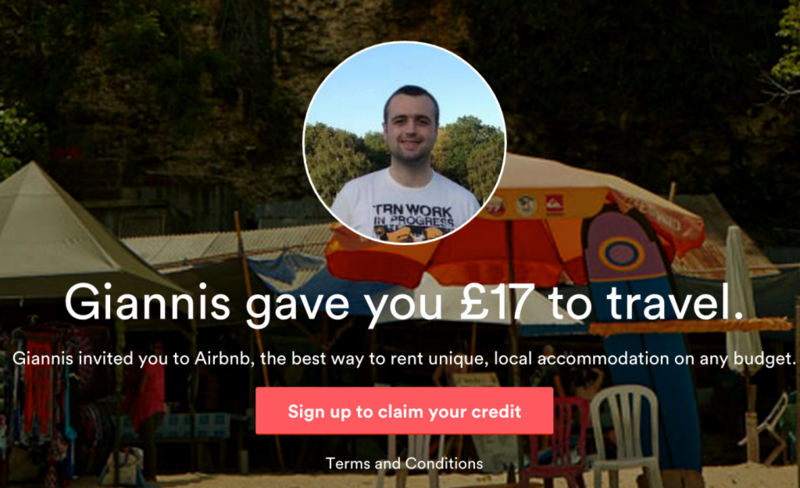 This is something Airbnb does really well. 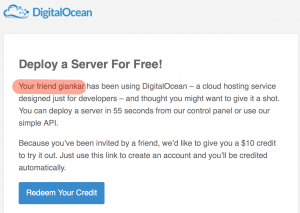 Personalize more the refer a friend experience by landing your perspective referrals on landing pages that remind them of the person that referred them. The conversion will be smoother. Provide the same personalized experience to your mobile referrals. In case that you have a mobile app too, redirect referrals to the mobile app to fulfil the registration and your referrals will always carry you in their pockets. Make it easier for people to subscribe to your service or product through the refer a friend program by pre-filling some (if not all) of the required fields for the registration. In any case, your referring users are already registered users to your service. You have lots of data already from your current users to use to enhance your referral program. Use their first name, their profile picture or anything you think it’s useful for their referrals to recognise them. Use the data in the body of the email, even on email titles. Treat your Refer a Friend program as a different product and when it comes to user acquisition, monitor its performance by splitting the traffic sources. Believe me, you will notice huge differences between registrations that occur via referring websites and registrations that come from email invitations. There is no guideline on defining the important KPIs for a referral program. Each service / product should set its own KPIs for refer a friend, according to its nature and the business needs. Everything is about cost per acquisition, margins and business model. Dropbox, because of high acquisition costs for customers through performance marketing, relied heavily on the referral program to push their freemium model. The key metric for Dropbox is not the user registration, but it’s the time spent until the user uploads his first file to the cloud. Evernote, another freemium service, relies it’s growth on keeping users on their product longer than a year. Phil Libin, Evernote’s CEO, mentioned that people who use their product (the free version) for longer than a year have more chances to become paid subscribers. For some companies, the main metric is the number of active users who refer or the conversion rate for referral invitations. You have to work on finding what’s important for your business and what you want to succeed through your referral program and start tracking your custom KPIs. 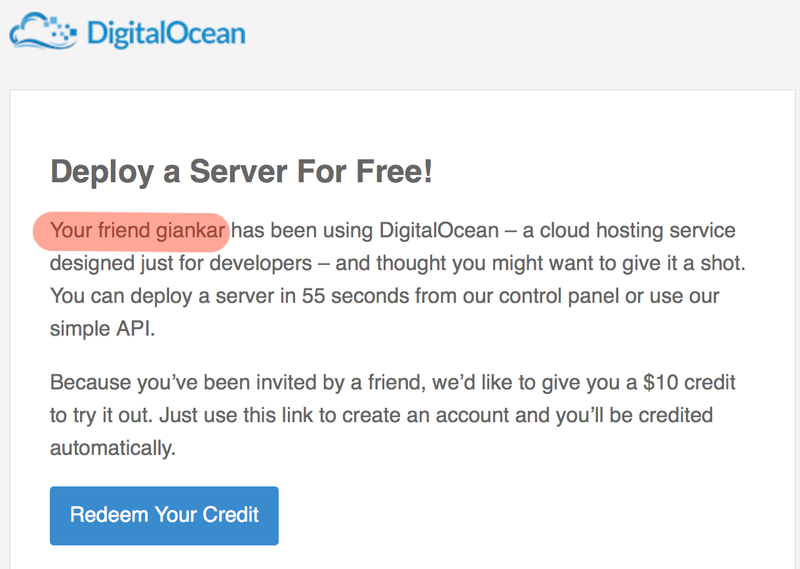 Treat the refer a friend program as a landing page and do A/B testing of its positioning. Incentivise your users to share your product to their referrals by implementing refer a friend features in the product workflow. Give them a discount, a coupon or anything else in exchange to inviting users to your product. If it sounds expensive for you, just remember your Cost Per Acquisition for your other traffic sources! This topic comes back to the integration of 3rd party login services to your service like Facebook Connect and Google’s Open ID. If that’s the case for your product / service, then take advantage of their APIs for your viral growth and suggest invites to your users by pulling their contacts. 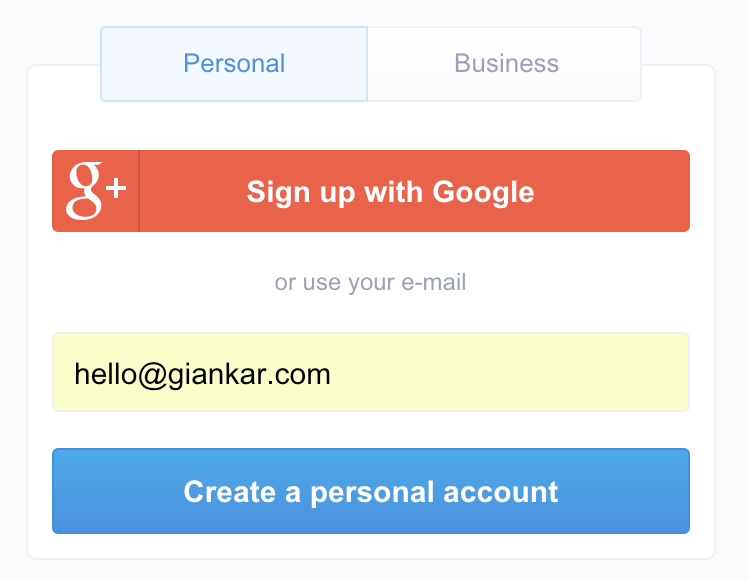 Take this one step further and use it to suggest to your users with emails which users to invite to your service. Other than just prompting your referral program into the product flow, you can push it at the end of you customer’s funnel. The customer is happy at this moment because he has done not only your desired action but also his desired action. Why not spreading some love? Don’t stay focused only on integrating your referral product only in your product, but think a little bit out of the box. Where else can you push it? Customer support signatures, email workflows and offline marketing activities are just a few ideas. Just think out of the box. Some of your users aren’t going to be just simple users, but they ‘re going to be webmasters too. Make sure you provide them with banners, widgets, APIs etc of your service in order to make their life easier and your viral growth faster. Keep your referral program consistent across all your platforms. Don’t forget your mobile platforms, especially if your mobile usage is high and growing. Referral programs work equally well or even better on mobile devices because they can easily follow-up the traditional word of mouth mention. People might try to take advantage of your referral program (even if you don’t give away cash!) in order to earn money. Expect people going to Gumtree, Craiglist or other similar websites trying to take advantage of your refer a friend program. Building an anti-fraud mechanism to protect your service is vital. You did all the development and your company started growing like crazy. But did it change the way your previous customers (or even new ones) see and perceive your product? Calculate the Net Promoter Score (NPS) before and after every change you apply for your referral program. You might grow your registrations now fast but you might be churning users fast too. 23. Calculate your viral coefficient. K = i * %conversion. %conversion: The percentage of invitations that converted into registrations. 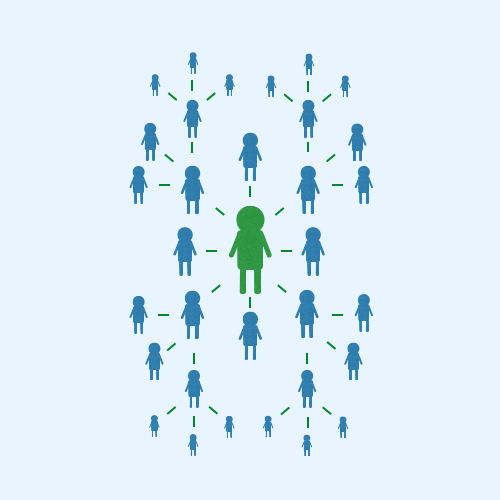 A viral coefficient which is equal to 0.2 will tell you that 1 in 5 active users of your product will invite a friend or family member to your service. 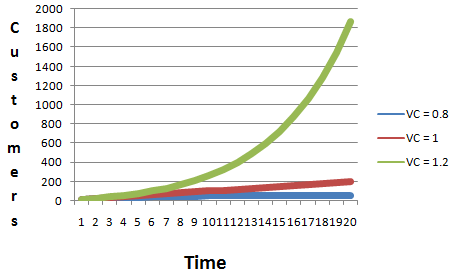 A viral coefficient which is >= 1.01, will tell you that your product is growing exponentially. Would love to read your feedback and comments below!